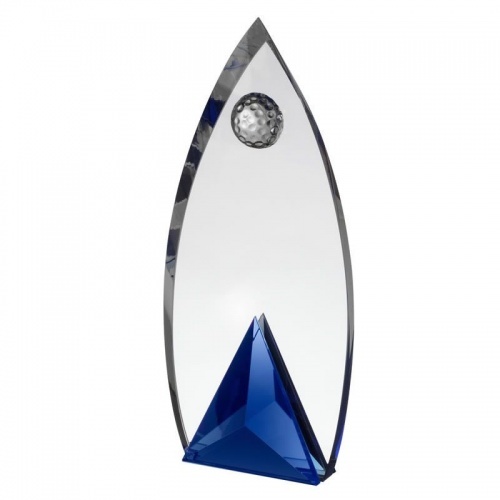 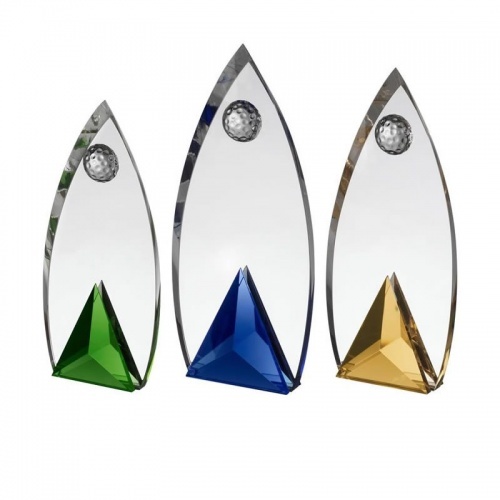 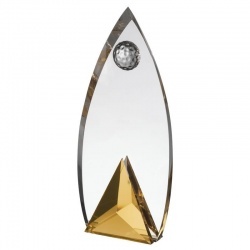 Bring a touch of colour to your golfing awards presentation with these quality crystal golf trophies. 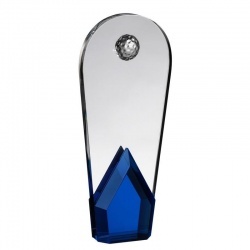 Finely crafted in clear and coloured glass, they feature an arrowhead shape flat plaque inset with a crystal golf ball near the top and with a blue glass prism at the foot. 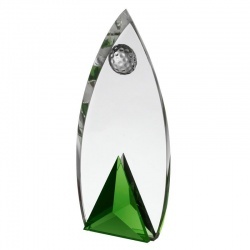 Offers a large area for engraving. 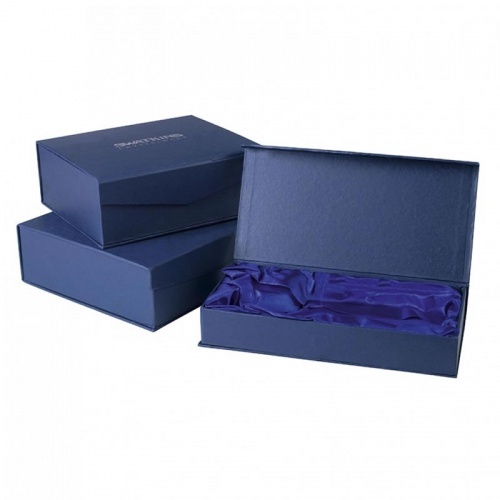 Supplied presentation boxed.